Here is the catalogue for an exhibition of da Vinci's anatomical drawings that was held at Meteroploitan Museum of Art in 1984. All of these drawings are from the Royal Collection of nearly 600 priceless da Vinci drawings that are held at Windsor Castle. 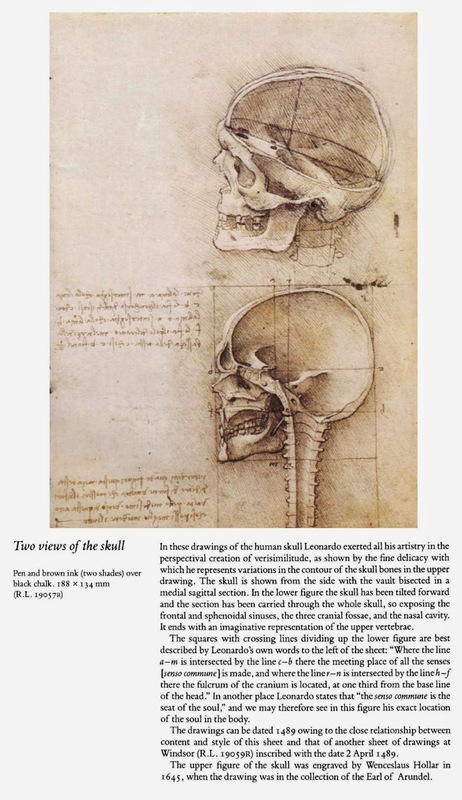 Da Vinci dissected about 30 humans and his method was almost forensic. He made detailed notes and illustrated them as he went, applying his formidable skills as a draughtsman as well as his unrivaled observational technique. More here. Image copyright Metropolitan Museum of Art.